ZTE takes software updates very seriously since Z-Community members can now join the Android Nougat Beta program for the $99 USD, Qualcomm Snapdragon 617-driven ZMax Pro handset that launched back in July 2016 with Marshmallow on board. Although its dwindling sales in China forced ZTE to lay off a significant percent of its local employees, they have been busy updating the firmware of most recent handsets, something that larger brands sometimes delay over and over again. For example, the low-end ZMax Pro will soon get Android Nougat, as ZTE has just started a Beta program for those eager to take it for a spin before the official release, also helping the company to iron out bugs in the process. To enter this program, an account on the Z-Community website is required. Those who do not have one can easily create it, of course. After providing the name, email address, and phone number, a link to the beta's debugging tool will be received via email. Sadly, only customers in the United States can join for now. 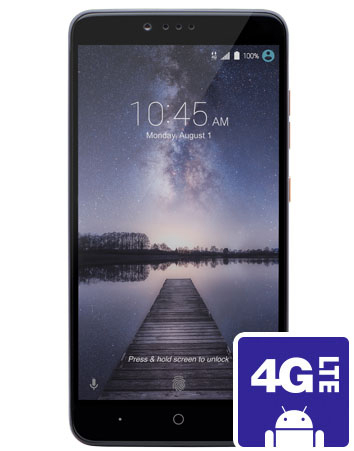 ZTE ZMax Pro arrived back in June 2016 and features a massive 6-inch full HD display, being powered by a Qualcomm Snapdragon 617 processor, next to 2 GB RAM and 32 GB internal storage, as well as microSD support. Considering its $99 USD price tag and the fact that it will soon get Android Nougat, this phablet is an excellent deal, as long as those interested have their pockets and hands large enough to use it.